Marine Gunnery Sgt. (ret.) Jessie Jane Duff mocked the “dainty” way Congressional primary candidate Maura Sullivan (D-NH-1) held an AR-15 while calling for a ban on the weapon and other restrictions on the Second Amendment as well. 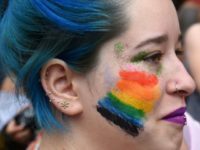 Sullivan’s push for new restrictions on the Second Amendment won her a “distinction award” from Michael Bloomberg-funded Moms Demand Action. 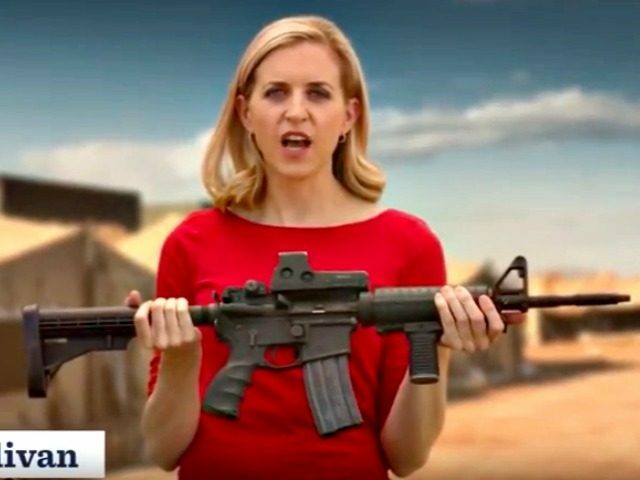 In a campaign ad, Sullivan holds an AR-15 as she discusses her own military service. She describes the AR-15 as a weapon “similar to the one [she] trained on in the Marines.” She omits the fact that an AR-15 is a semiautomatic rifle–meaning it fires one round, and only one round, per each pull of the trigger. A military rifle has a select fire switch that allows military personnel to select semiautomatic, three round bursts, or full auto. In three round bursts, the rifle fires three rounds with each pull of the trigger, and in full auto it fires bullet after bullet, until the military member releases the trigger. A military rifle, being military grade, is made to handle the heat and wear caused by full auto fire. A civilian AR-15 is not. It appears to me that she decides to support the constitution only when she’s in uniform, but as soon as it comes off it all goes away. …You either uphold this constitution or you do not, and now she has clearly lost what her allegiance was when she was a United States Marine. She of all people, to say what she said, of all people, is completely abhorrent. Duff responded in agreement, saying Sullivan held the gun in a “dainty” fashion.